In a report released on March 19th, Global Financial Integrity (GFI) revealed that worldwide private non-resident deposits held in secrecy jurisdictions has escalated to approximately USD 10 trillion. The GFI’s Privately Held, Non-Resident Deposits in Secrecy Jurisdictions report analyzed raw data from the Bank Of International Settlements (BIS) (an international organisation fostering international monetary and financial cooperation, and serving as a bank for central banks), the International Monetary Fund (IMF) and central banks of offshore jurisdictions to find that offshore deposits into secrecy jurisdictions have been growing at an average rate of 9 percent per annum, since the early 90s. The rise in deposits has consistently outpaced the average annual world GDP growth rate of 3.9 percent during the same period, signaling increased illicit financial flows and levels of tax evasion throughout the world. The report examined private offshore deposits coming into 73 nations regarded as secrecy jurisdictions by the Tax Justice Network (TJN). It was found that the US topped the list with USD 2.18 trillion of deposits, followed by the Cayman Islands at USD 1.55 trillion, and the UK at USD 1.53. The top 10 most list of deposit takers also included Luxembourg, Germany, Jersey, Netherlands, Ireland, Switzerland and Hong Kong, with a combined total of USD 2.38 trillion. 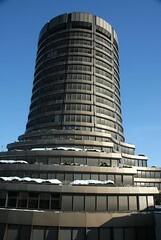 Through the report, the GFI issued key recommendations for the BIS and governments worldwide, amongst which were the need for increased transparency in offshore financial markets, a call to the BIS to provide country of origin information in its private non-resident deposit data and cease aggregating privately and publically held fund deposit data. Commenting on the sparsity of available data, the report mentioned the current global efforts to increase international tax transparency and said, “Policy makers and researchers alike will require considerably enhanced data collection and reporting in order to effectively regulate offshore banking in the immediate years ahead”.